One of the best in the market for one stop solutions to the cravings of audiophiles and professionals alike, BOSE is definitely a force to reckon with when it comes to giving stiff competition. Sleek designs, efficient engineering and an eye for uniqueness make each BOSE product a feast for the senses. The latest kid on the block is the new BOSE QuietComfort25 Noise Cancelling headphones or as they call it, QC25! One of the best noise-cancelling headphones in the market, they work even when the battery is dead or the noise-cancellation has been turned off. Intelligent redesigning allows for a much sleeker build with the folded up QC25 being slightly smaller than the previous QuietComfort 15 range from BOSE. The headband is comfortable and the device itself is lightweight. The music is more refined and much quieter than its predecessors. However, all that bling doesn’t come cheap and the product it placed at a cool $299. But if you are willing to cough up the cash, you’d have your hands on what is assuredly one of the best high-range in-ear headphones in the market. Acoustic noise-cancelling technology resulting in stellar active noise-cancellation. Over the ear design with comfortable, rotating earcups that have more movement than the any of the previous headphones from BOSE. Suede-like material underneath the headband. Convenient inline remote/micro accept calls on select iPod, iPhone and iPad models, plus select smartphones and tweak sound settings. Foldable design allows the headphones to fit in a small pouch that can be tucked away neatly. The music plays even with the power turned off or the batteries having run out. 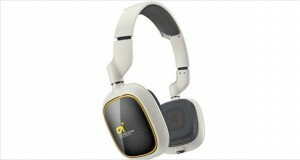 QuietComfort 25 Acoustic Noise Cancelling headphones. Single AAA battery that runs for 35 hours. Two prong adapter for airplane use. Instruction manual on how to fold up the headphones to fit in the pouch. 56 in QC25 inline remote and microphone cable. The QuietComfort 25 Noise Cancelling headphones come in the timeless shades of black (with black earmuffs and headband) and white (with beige earmuffs and headband). An overhaul by the design experts has resulted in a smart, stylish new look for the latest BOSE marvel. Clever engineering has allowed for the soft, luxurious, leather earcups to rotate more than ever before, creating a fit that is snugger around the ears. The earmuffs come with a large ‘R’ and ‘L’ to let your know which one goes over which ear in a jiffy. The headband comes with a plush suede-like material on the inside, leaving your hair less frizzy (and a comfortable cushion for those without that flock!). The chord is thicker and detachable; the earcups’ hinges are made of cast iron. There is a lot of plastic involved but the end product doesn’t look cheap. If at all, there is a subtle charm to the lightweight headphones that appeals to your aesthetics. Dimensions1.8 x 6 x 7.5 inches"
The material is mostly plastic but does not appear cheap. The chord is thick and stoic. The earmuffs, made of soft leather, are beautifully built to fit around the ears. However, the seal doesn’t lock properly if one happens to wear glasses. The redesigned hinges allow for higher flexibility.Overall, a good balance has been struck over longevity, weight and comfort. BOSE has given special attention to the QuietComfort 25 Noise Cancelling headphones, providing its user with superior comfort. The interior of the headband is covered with a soft- touch canvas cloth made of a compressible, faux-suede material. The leather earmuffs are a snug fit that do not cause any “fatigue” in the ears. A lightweight design ensures prolonged usage without considerable weariness for the wearer. The treble has a zesty spike. The bass is richer and vibrant compared to the QC15. However, with the noise-cancellation turned OFF, the lows tend to dull out. BOSE goes all out with the engineering for the QC25, creating one of the best noise-cancelling headphones in the market. A long battery life allows for substantial noise reduction in long, international flights stretching for hours. Snug fitting earcups allow prolonged usage. 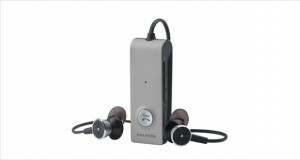 The noise-cancellation is superior and works quite well even on passive mode. However, sound performance is below par for such an expensive set. Even though there is substantial quietness in a noisy ambient, if one were to listen to music at relative calm, any non-noise-canceling pair gives finer sounds than this pair. Active noise-cancellation that gives clear, quiet sound. The battery light flashes when there is about 7 hours of battery life remaining, giving ample time to buy new ones. The device works even in the passive mode letting the device work even when the battery runs out or the power is off. AAA battery provided with the set. A body with sleek finish that folds up nicely. Quite lightweight with a rigid plastic framework. BOSE’s satisfaction guarantee that offers a full refund if the performance is not satisfactory within a period of 30 days in US and 21 days in Australia. Muddier bass and mids with the noise-cancellation turned off. The seal is not very good if one wears glasses. 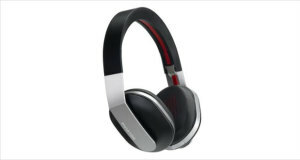 Sound definition is not competitive compared to other non-noise-cancelling headphones in the market. 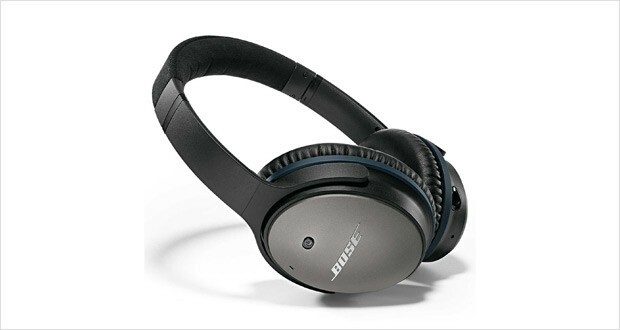 The Bose QuietComfort25 Acoustic Noise Cancelling headphones scores high with its clever designing and stellar noise cancellation.Traffic dies down, aeroplane droning comes down to a hum, and office humdrum can be left out to give you the peace and sanctity to work in near solitude. However, when it comes to delivering a high end sonic experience, QC25 does not quite live up to expectations. If you are an audiophile, you are probably going to be disappointed with them; in which case, a better bait would be go for one of the more reasonably priced non-noise cancelling headphones in the market.